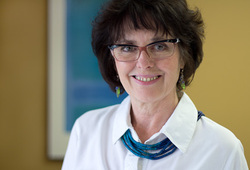 andulia Guest has been a Travel Consultant, agency manager and owner in West Vancouver for over 30 years and her passion for travel remains strong. In 2006, Julia merged her own company, Panorama Travel Consultants, with Travel Concepts – a happy union for all concerned. Over the years, Julia has escorted tours of her own design to Israel on many occasions, to India & Nepal, to Portugal, England and China. Her personal enjoyment for gardening developed into the creation of garden tours to England and France which she has operated with landscape designer Ron Rule for over 20 years. A tour to Provence in September 2014 visits many designers’ gardens which are never generally open for public viewing. Julia has collaborated with celebrated author Des Kennedy on unique trips to New Zealand, China and England. Her love of India led her to host a garden tour to India which covered the country from south to north. She has designed and taken our Women With Wings garden trips to England which have included the Chelsea Flower Show and a tour by river boat to Belgium & Holland at ‘Tulip Time’ included private garden visits. Recent study of Italian gardens led to a sold out tour in 2013, followed by another in 2014; she has an active agenda of ‘private’ garden tours to groups of friends and garden clubs. She maintains an active clientele who travel the world on unusual and varied itineraries. ​Julia is in the office on Tuesday and Wednesdays from 9:00 am to 3:00 pm and is always available by email. Call or email for an appointment.